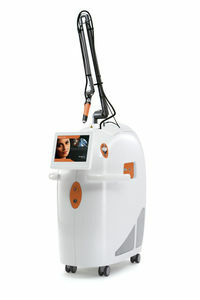 There has been significant interest in non-invasive methods to effectively improve skin texture without patient downtime. The ablative lasers are able to achieve these results thanks to a light procedure which allows dermal damage to be controlled. Wound healing leads to skin remodeling and a reduction in superficial wrinkles, skin toning and the removal of pigmented spots in the epidermis. 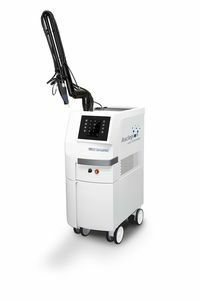 Erbium and CO2 lasers have been used as an effective instrument in skin resurfacing for many years. They are more precise and effective than chemical peels when it comes to removing the top layers of the skin, which causes smooth new skin to form and collagen to be renewed. The introduction of MicroSpot technology has reduced the healing period to just a few days. The fractional laser therapy with the Erbium or CO2 laser allows the selective treatment of only “fractions” of the tissue in the form of a grid. This is made possible by splitting the laser beam into several hundred partial rays. This triggers skin renewal and collagen formation with rapid wound healing, which is supported by the untreated skin and therefore involves a very low risk of side effects. Wrinkles and scars (including acne scars) are effectively reduced. Pore size is decreased and the skin’s pigmentation becomes more even, which also helps to improve the appearance of the skin. The signs of the treatment are practically invisible by three to seven days afterwards. Even one session will lead to remarkable results; for marked lines or scars, additional treatment sessions can follow after several weeks. 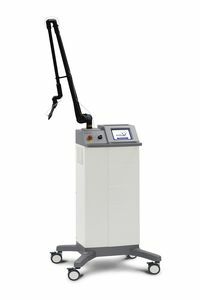 The fractional laser therapy with a Q-switched laser is unique and allows the treatment of large areas, especially on the face, because the side effects are even lower compared to the treatment using fractional Erbium or CO2 lasers.